With the $9 million Pegasus set to run in ten days, we're all anticipating the final field. Baffert still says that MCKINZIE is "doing well and it's tempting" but still no solid determination as to whether he will go. Meanwhile, GAME WINNER is set to make his seasonal debut in the $500,000 San Felipe Stakes (G2) at Santa Anita Park. Located in Erie, Pennsylvania, Presque Isle Downs has been purchased by Churchill Downs Inc. for $178.9 million. The purchase became official January 11th. CDI now has a foothold in Pennsylvania with the opportunity to have sports betting and online gaming throughout the state. 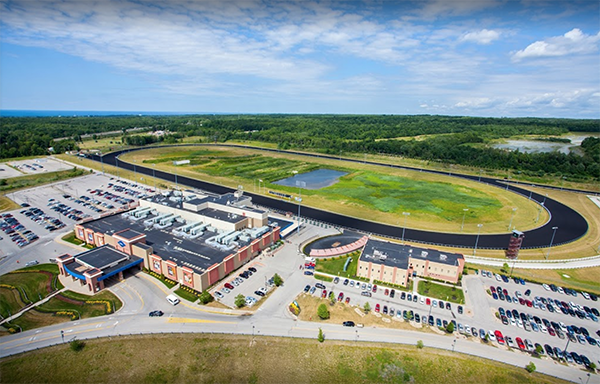 Presque Isle petitioned the gaming control board for a sports wagering license in December. Finishing third in the Breeders' Cup Classic, THUNDER SNOW is back in Dubai and preparing to defend his 2018 Dubai World Cup title. He set to make his debut this year in March in the Al Maktoum Challenge Round 3 (G1). Two fillies had a rough start in the $75k Kalookan Queen Stakes January 13th at Santa Anita. SELCOURT and TIZ WONDERFUL both had stumbles and bumps. While LAKE TIME and SPRING LILY both were early leaders, it was the 16-1 longshot SPRING LILY that kept on battling for the win. This was the first stakes win for SPRING LILY. Todd Pletcher has confirmed Flavien Prat will ride AUDIBLE in the Pegasus World Cup January 26th. Pletcher says that AUDIBLE left his five furlong breeze in 1:00.98 in good order at Palm Beach Downs. The U.S. Department of Justice's Office of Legal Counsel released a statement Monday that reversed its view that the Federal Wire Act applies exclusively to sports betting. This left many wondering how this would affect online horse racing wagering. According to the National Thoroughbred Racing Association's President and CEO, Alex Waldrop, the horse racing wagering remains safe due to the Interstate Horseracing Act. Waldrop stated, "As expected, yesterday the Department of Justice issued a lengthy opinion reversing its 2011 opinion by stating that the Wire Act applies to all forms of online wagering, not just sports wagering. The opinion does not affect our longstanding right to conduct interstate online wagering on horse racing as long as it is conducted in compliance with the Interstate Horse Racing Act." The original opinion stated that the Wire Act applied exclusively to sports wagering and could be applied to any form of interstate gambling outside of horse racing, such as online casino games.